For forty-plus years, Riverkeeper has been the Hudson Valley’s chief law enforcer when it comes to safeguarding our water and waterways. We work to strengthen the laws and regulations that impact New York’s water resources. We collaborate with coalitions and partners statewide on critical issues involving water pollution, clean energy, watershed preservation and more. Since the mid-1960s, Riverkeeper has spearheaded policy initiatives that protect wetlands and habitat, improve nuclear oversight, increase and secure green funding, and encourage smart energy use and production in New York State. Because solid environmental policy is one of the best tools we have, we work hard to garner support for legislation created to protect our Hudson River, its tributaries, our watershed, wetlands and surrounding communities. Riverkeeper has become increasingly concerned about projections of Sea Level Rise because estimates are becoming increasingly dire: Findings from the Columbia Center for Climate Systems research indicate that the coastal areas of the Lower Hudson Valley and Long Island could experience rises of 2-5 inches by 2020 and 12-23 inches by the end of the century. In the midst of a budget crisis that affects all aspects of state government, environmental protection is one of the first casualties of this fiscal war. Budget cuts at New York’s Department of Environmental Conservation (DEC) equate to less DEC staff to review permits or to investigate reports of water pollution. Over time, the result is a reduction in environmental protection and enforcement that leads to polluted waterways, loss of critical wildlife habitat and unremediated toxic waste sites that continue to leach pollutants into our environment. The more our natural environment suffers, the harder it will be for New York to emerge from the current economic downturn and get back on the path to sustainable economic recovery and growth. Even before the current recession hit, the DEC’s resources were stretched beyond the breaking point. Now, the situation is much worse. In order to ensure that our environment is well protected, we need to enable citizens and environmental groups like Riverkeeper to help enforce New York’s environmental laws. Section 316b of the Clean Water Act (CWA) requires power plants to use the best technology available to protect fish and other aquatic life. The U.S. Supreme Court ruled that cost-benefit analysis is not categorically forbidden by the Clean Water Act (CWA) provision governing cooling water intake structures, but also that Environmental Protection Agency (EPA) has the authority to decide not to engage in such analysis. The court, therefore, left it to the Obama-Jackson EPA to decide whether and how to compare costs to benefits when it issues a new regulation for existing power plants. Riverkeeper will monitor EPA’s drafting of a new rule to ensure that it adheres to the goals of the Clean Water Act, that America’s waterways are once again fishable and swimmable. The Clean Water Restoration Act (CWRA) of 2007(H.R.2421/S.1870) intends to reaffirm the goals of The Clean Water Act, which the Bushadministration narrowly interpreted to mean “navigable waters” only, putting all other waters, including precious wetlands, at risk. If passed, the act would amend the CWA by replacing the term “navigable waters” with “waters of the United States,” assuring the protection that Congress intended when it passed the CWA in 1972. Congress has been holding hearings, and on April 16, 2008, Hudson Riverkeeper and President Alex Matthiessen testified before the House Committee on Transportation and Infrastructure in support of the act. Federal funding for clean water and wastewater infrastructure has been decreasing for years, while our nation’s needs continue to increase. Clean water and wastewater infrastructure is of vital importance to our nation’s economic prosperity, public health and environmental integrity. Riverkeeper is an active participant in a broad-based coalition of local elected officials, drinking water and wastewater service providers, state environmental and health administrators, engineers and environmentalists throughout the nation in campaigning for the establishment of a national Clean Water Trust Fund. Riverkeeper strongly believes that the establishment of a national Clean Water Trust Fund is the only viable, long-term solution to fix our country’s failing, antiquated, and inadequate clean water infrastructure. However, until Congress enacts Clean Water Trust Fund legislation, Riverkeeper fully supports clean water legislative initiatives that increase and secure federal monies to improve our clean water infrastructure. While they by no means solve the myriad crises facing local communities across the country, these bills provide an interim solution to an ever-growing crisis. Environmental Access to Justice Act (A.1435/S.5182) would expand private citizens’ rights to sue over violations of the State Environmental Quality Review Act (SEQRA). Currently, those rights are limited, but the Environmental Access to Justice Act would allow individuals to be litigants in such cases. The act overwhelmingly passed the New York State Assembly, and Riverkeeper urges the New York Senate to pass the bill. The Clean Water Protection and Flood Prevention Act (A.7133/S.3835) addresses a regulatory gap in New York’s Freshwater Wetlands Law, which currently only protects freshwater wetlands 12.4 acres or larger, or that DEC has designated as being of “unusual, local importance.” New York cannot afford to lose any more wetlands, which are critical to the health of its water supply and natural environment. If passed, the act would amend current state law, assuring state protection of wetlands as small as one acre. The NYS Assembly has twice passed A.7133, most recently in April 2008. The Senate version, S.3835, remains in committee. Riverkeeper opposes shale gas extraction by hydrofracking unless and until the industry can prove it CAN and WILL be done safely for both human health and the environment and will be a net economic benefit to local communities and the state’s economy. Based on the best new scientific evidence from across the country, there are growing doubts that the industry will ever be able to meet that standard. 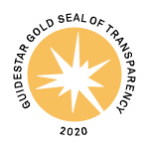 needed for state agencies, local governments and nonprofits to carry out environmental clean-up and restoration programs. 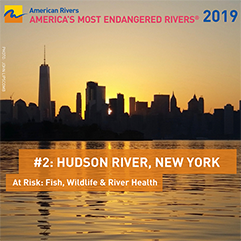 New York State needs more than $1 billion annually for such efforts, including the Hudson River Estuary Program (HREP), which is working to clean and restore the Hudson, so the public may use and enjoy it. Riverkeeper is pushing for increased EPF funding to ensure the survival of successful environmental programs, which protect the environment and health of all New Yorkers. Riverkeeper is committed to supporting clean, renewable sources of energy and the repowering of existing conventional power plants to high efficiency natural gas in order to meet the Hudson Valley and New York City’s energy needs without further polluting our water and air. We actively support measures to reduce energy consumption and combat climate change. Stay tuned to this page for future news about our efforts to ensure a sustainable energy future for the Hudson Valley. New York City Council passed Int. 54-A, a bill substantially increasing penalties for illegal dumping in New York City Waters. The bill, passed unanimously by the City Council, creates a new civil penalty for dumping into the waterways where none currently exists, setting fines at not less than $1,500 or more than $10,000 for the first violation, and not less than $5,000 or more than $20,000 for each subsequent violation. The law: CKD was classified as a “Special Waste” in 1978, and as such was temporarily exempt from a RCRA designation as hazardous waste pending additional study. The EPA finally issued this long-overdue study in 1993 thanks to a successful lawsuit by the Environmental Defense Fund. In 1995 the EPA made an official determination that federal regulation of CKD waste was necessary to protect human health and the environment. A proposed rule was published in 1999 that would require CKD landfills to be lined with an impermeable composite membrane and capped to prevent leachate migration. Under this proposed rule any mismanaged CKD would be reclassified as a hazardous waste. Thanks to unyielding pressure from the cement industry, this sensible rule proposal has languished for nearly 11 years, and no federal standards for CKD disposal exist today. The solution: Riverkeeper has drafted a petition for issuance pursuant to the Administrative Procedures Act which will force the EPA to promulgate or withdraw the proposed rule in a timely fashion, or else leave the agency exposed to suit. We are currently seeking cosigners for this petition among fellow our Waterkeeper Alliance members as well as any other environmental and citizen action groups whose constituencies have been affected by CKD pollution.